In over 30 years of carving traditional Cowichan Coast Salish art, aboriginal elder Simon Charlie estimates he has carved the equivalent of 22 logging truckloads of cedar logs. His totem poles stand in the Royal B.C. Museum, the Parliament Buildings in Ottawa, and from Washington State to New York, Chicago, Holland, New Zealand and Australia. His artworks and masks are found in collections in North and South America, Europe and Japan. 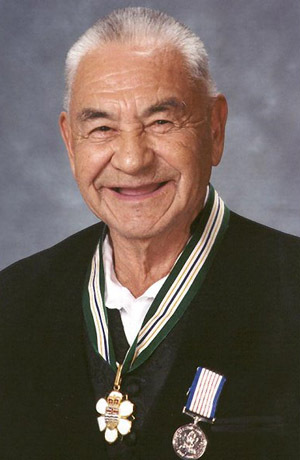 He has taught heritage, culture and traditions to his people, and to non-aboriginals as well.